 The Community Foundation of Southern Indiana provides community leadership and partners with many other organizations in Southern Indiana to support various charitable efforts. Depending on the situation we may help write grants, provide advice and support during the project and hold endowment funds for projects. Dolly Parton’s Imagination Library places books in the hands of children under the age of five. The Community Foundation ofSouthern Indiana, Horseshoe Foundation of Floyd County and the New Albany-Floyd County Consolidated School Corporation partnered to bring the initiative to Floyd County. Children are mailed a book every month until their fifth birthday. The NAFC Education Foundation took over the program in 2012 and helps register children. We are empowered and bolstered by the relationships we’ve created in our community.